$30.00 (30.00%) FREE shipping on all U.S. orders. We also ship internationally. At just 8.8 oz per pole, Pro Walker Nordic Fitness poles promote mobility, balance and full-range body movement while supporting your knees, ankles, and joints. 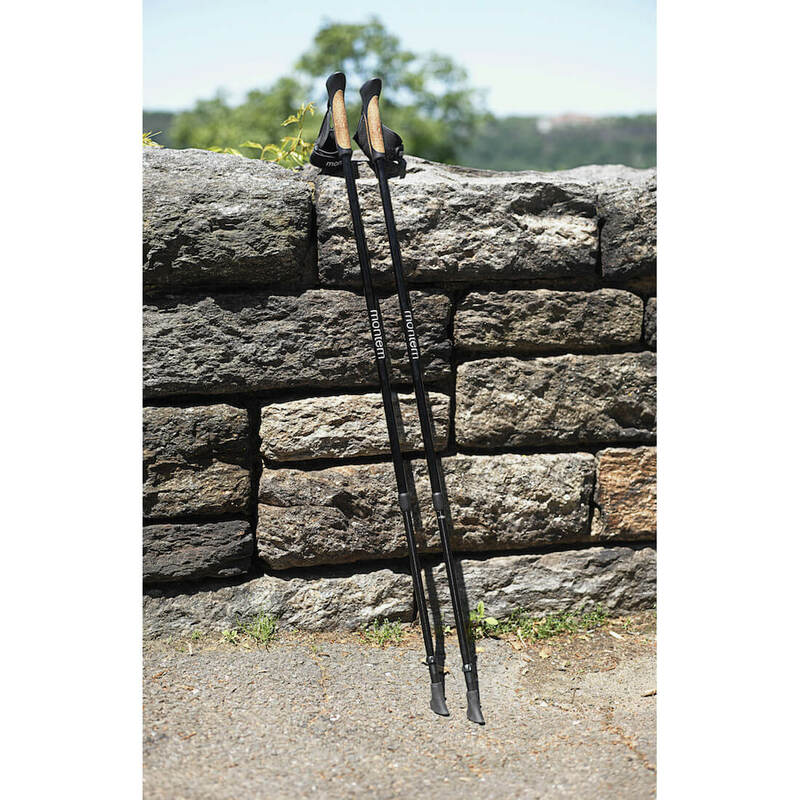 Perfect For: All forms of walking, trekking, mobility, rehabilitation/physical therapy. Especially for individuals, athletes, and seniors who may need mobility support. Benefits: Offers support and balance while utilizing total body movement to enhance fitness and workouts at greater intensity. Promotes cardio-respiratory strength, muscle strength, and overall health promotion. Specially designed replaceable Nordic gloves allow your hands to be flexible during any activity while comfortably handling the poles. 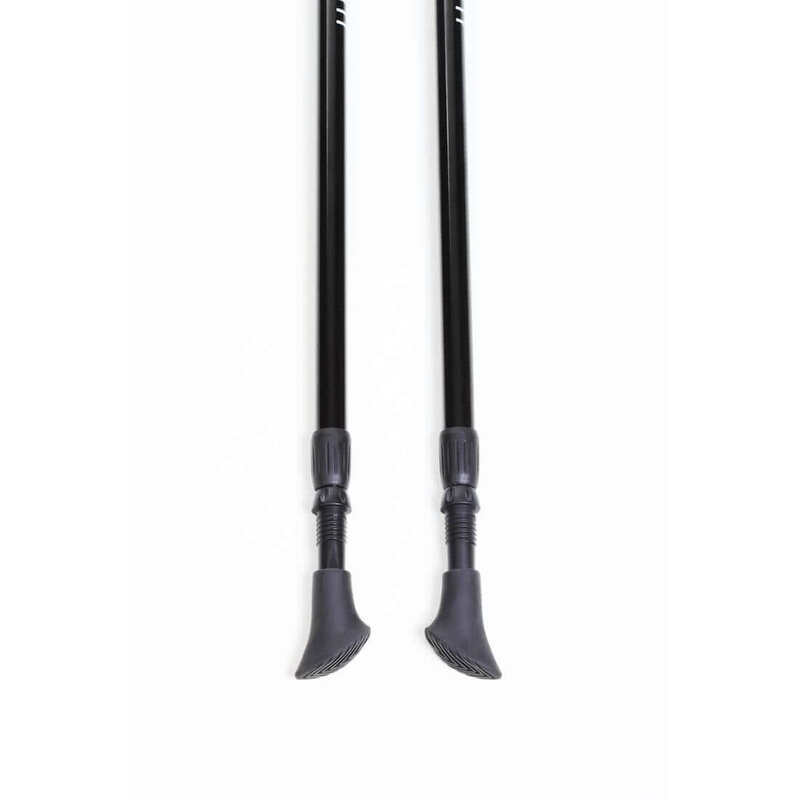 Shafts include “quick twist” locking system so your poles never collapse without untwisting. Easily adjust the poles to your desired height in seconds. Ultra Light pole with a total weight per pole of 8.8 ounces so you don’t feel weighed down – you’ve already got enough to carry, your poles are here to help you, not hinder. Nordic walking is a type of sport and form of exercise that utilizes total body movement and is widely regarded for its many health benefits, especially regarding muscular and cardio-respiratory strength. 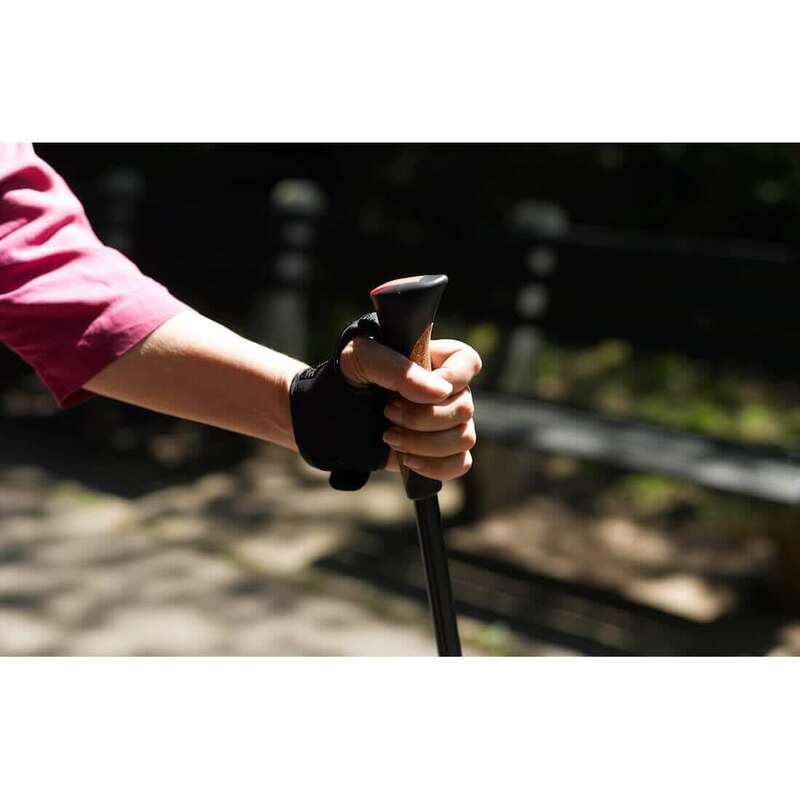 The posture and stride that nordic walking poles create allow the body to stimulate muscles you normally wouldn't with conventional walking, and this promotes a greater intensive workout. 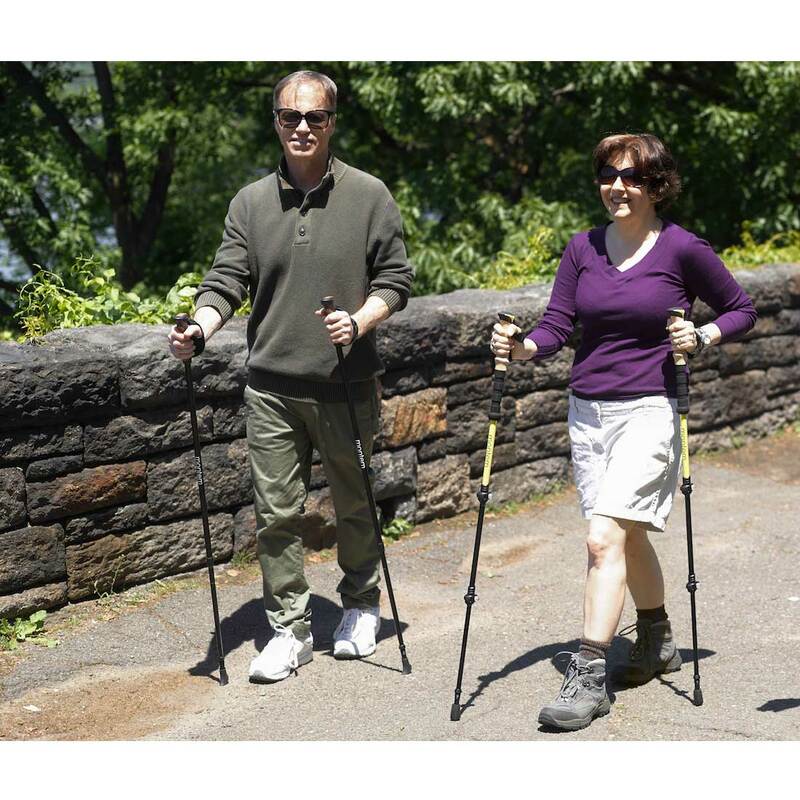 "Nordic walking can burn up to 40 percent more calories than regular walking, reduce knee and joint stress, boost oxygen consumption (which, in turn, benefits the brain) and help realign the body after a day hunched at a desk." It's super easy! 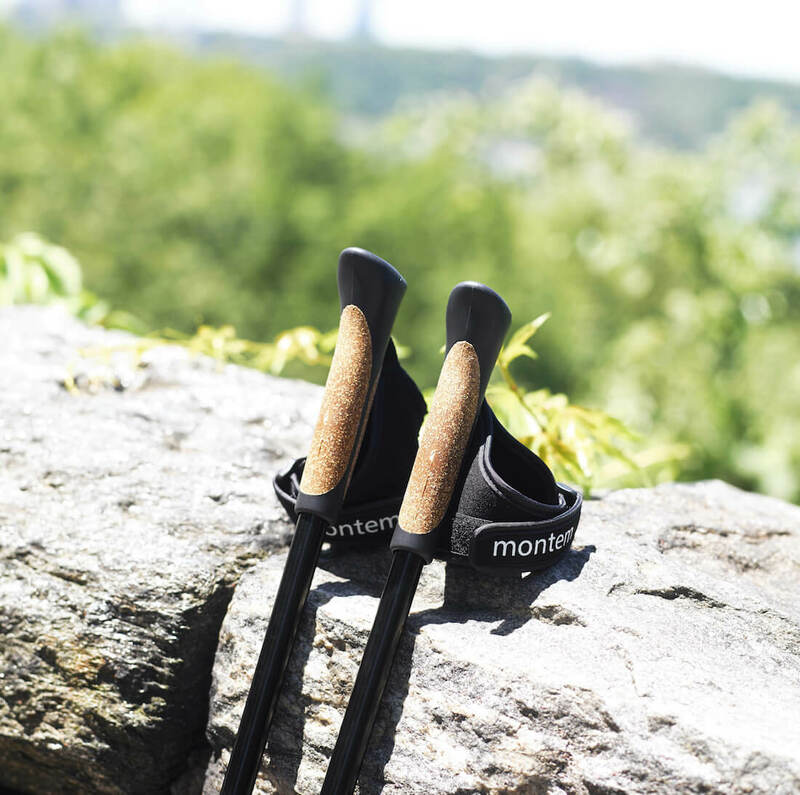 Simply adjust your arms so that they’re at a 90 degree angle while using your Montem Trekking Poles. Simply twist the two sections of the pole until they are locked. My doctor recommended I find a way to become more active. He suggested nordic walking, so I searched for a good pair of nordic poles. I've been using Montems poles for the last 3 months and Im down 15lbs, my diabetes is in check and theyve done great for my needs. My husband uses them as well. H e has arthritis and the gloves that attach to the pole help him get exercise without worrying too much about dropping the poles. Great poles. They help keep me active and get exercise that i enjoy. I use these poles while walking with my wife and daughter. Never feltbetter and doctor approves! i have been using nordic walking to keep in shape for a few months. hubby says im cute, but we all know hes biased (ha!). i havent felt this good in ages. my friends and i use them for our evening walks. Not able to run anymore and find an excellent workout using these poles. Amazing! Just got into Nordic walking. These poles are great. Easy to adjust and lightweight. I love them.